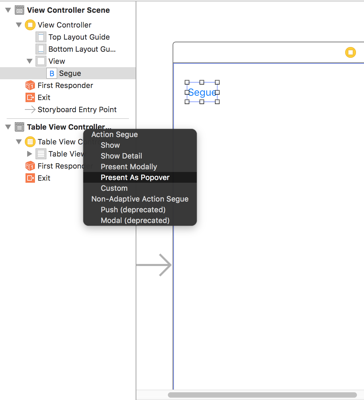 In the storyboard CTRL-click to drag from the presenting controller to your controller you want as a popover. 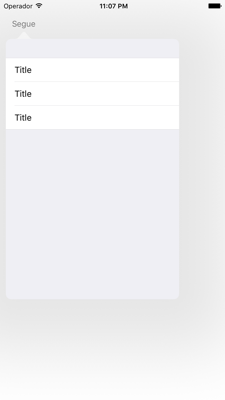 Now I'll create a function that takes in the needed parameters to be able to prepare the content controller (that will appear in the popover) to be in the popover. The "adapting" code above just essentially does what the default behavior is. Apple makes the assumption that the default behavior is to fill the whole screen rather than as a real popover. Its kind of backwards a little bit since return .Popover seems like it would be a popover but its .None that forces it to be a popover.